This fantastic recording was recorded live at one of the many successful Son House appearances and the existence of these tapes was only recently discovered. For the first time, not only his brilliant singing and slide guitar can be heard, but a rare glimpse of the man himself, talking intimately to the audience of his lifetime of experience and what the blues mean to him. Track A4 - A True Friend Is Hard To Find (as listed on the sleeve and label) is not actually present on this pressing of the concert. Eddie James Jr. - everybody knows him as Son House – was born March 21, 1902 in Riverton, Mississippi . After working as a preacher for several years, he turned to playing the blues during the late 1920s. His highly rhytmic and percussive style influenced contemporaries like Robert Johnson and Muddy Waters. Although he recorded for Paramount (alongside Charlie Patton), he remained unknown outside the local Coahoma County region in Mississippi. In the early 1940s he was recorded by researcher and archivist Alan Lomax for the Library of Congress – and gave up music for the next two decades after moving permanently to Rochester, New York. In the early 1960s a group of folk and blues enthusiasts, students and record collectors developed a strong interest in the pre-war blues originators. 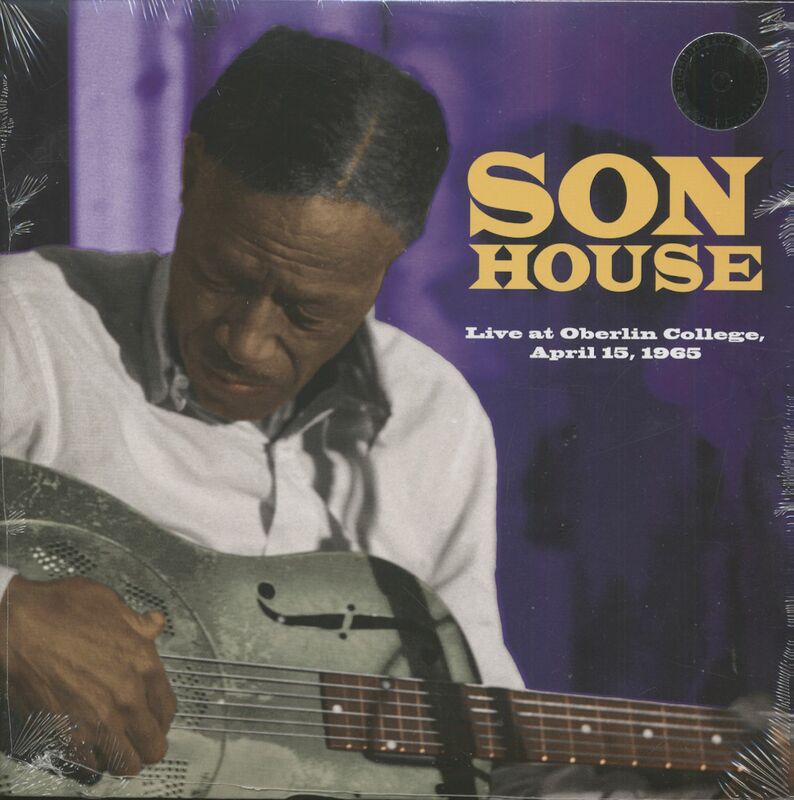 Son House was still suspected in Mississippi, and the young folks were surprised to finally discover him not far from their universities on the east coast in the state of New York. With the support of his discoverers, the second career of Son House began. He played for mostly white students at universities and in coffee shops, recorded a new album for Columbia and toured the world, also as a member of the American Folk Blues Festival. 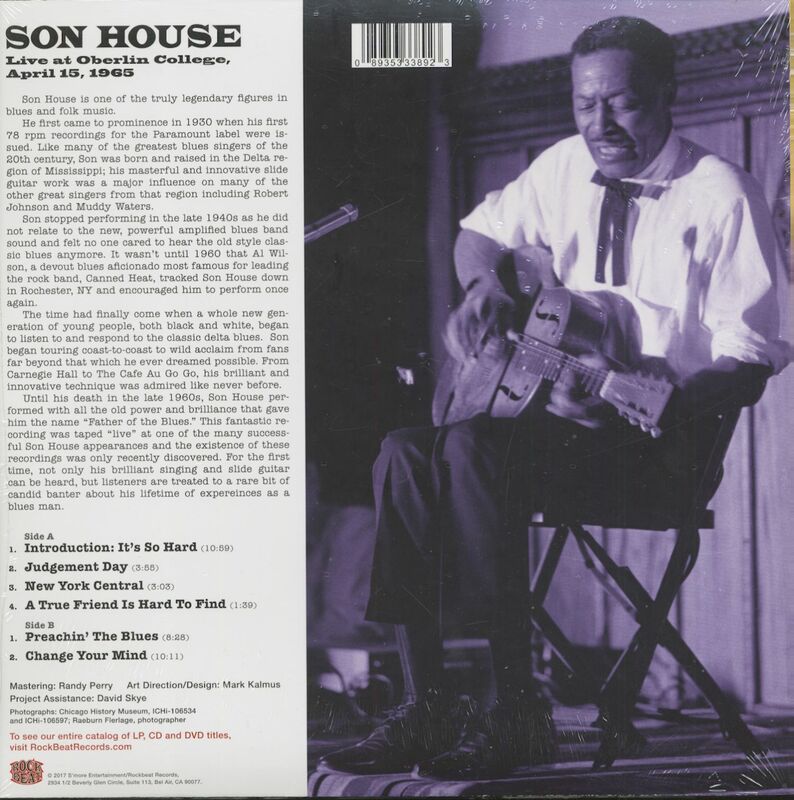 Son House died October 19, 1988 in Detroit, Michigan. During a career spanning over more than 60 years, Son House inspired Robert Johnson, Muddy Waters and John Mooney, Bonnie Raitt, The White Stripes, John Hammond a.m.o. Customer evaluation for "Live At Oberlin College, April 15, 1965 (LP)"